Visiting London doesn't necessarily means visiting the royal palace of Buckingham or gawking at the Big Ben and the parliament along the Thames. The historically captivating lies not only above ground, but also dwells underground. Meet the London Underground. 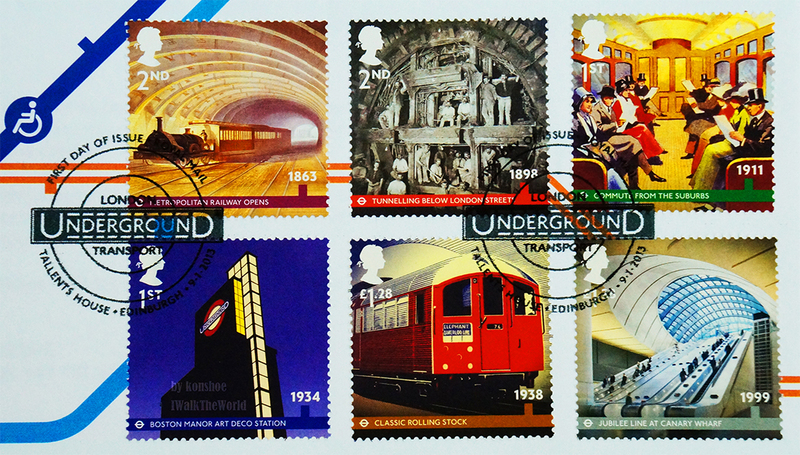 FDCs with London Underground stamp set (above) and miniature sheet (below). 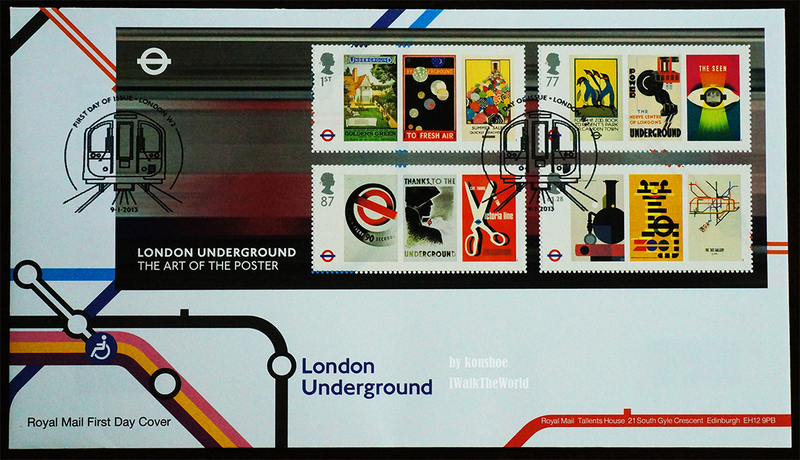 The former features the historical milestone and landmarks of London Underground, while the latter showcases the posters used to publicized the use of the railway. The mass rapid transit system nowadays found in most major cities have this original railway to thanks to. The term 'Underground' may be part of its name, but the rail system actually 55% of its system situated above ground instead of under it. 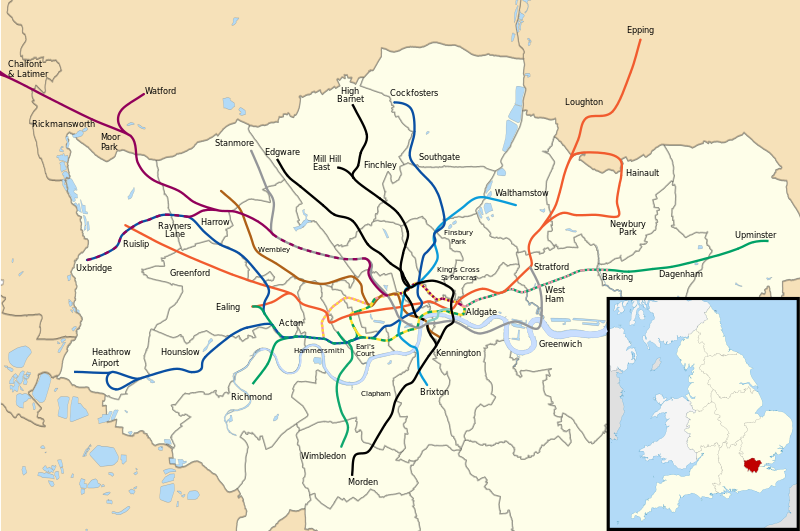 Also known as the 'Tube' due to the circular tunnels, the rail system covers a large part of Greater London as well as the counties of Buckinghamshire, Hertfordshire and Essex with its 402 km of tracks, 11 lines and 270 stations. Enlarged images of the stamp set and the miniature sheet. 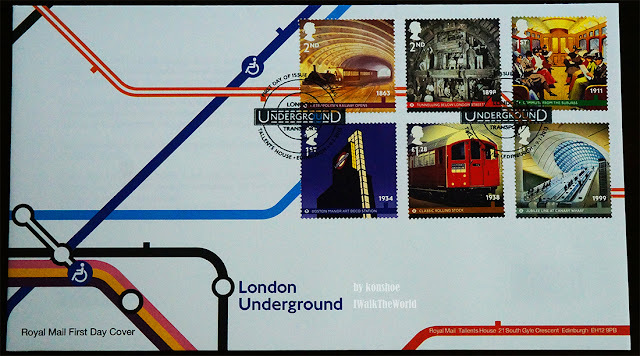 The world's first underground railway, the Metropolitan Railway, opened in January 1863, with this FDC commemorating its 150th year in operation. In the beginning of its operation, the line was served with gas-lit wooden carriages driven by steam locomotives (as seen in one of the 2nd class postage stamp). Try imagine that. Electrifying the lines came later in the early 20th century, with DC opted in favor by the line's major financial contributor, the American Charles Yerkes. The transformation of the logo representing London Underground throughout the ages. The images are respectively taken from 1908, 1910, 1920s, 1933 and 1985. 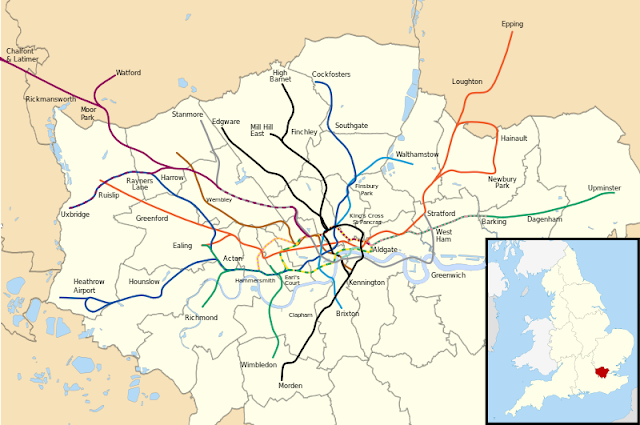 London Underground with Greater London map (image taken from Wikipedia). London Underground serves London not only in the capacity of transporting citizens, but also in defending them. Citizens of London living through the terrifying days of World War 1 will be familiar with the claustrophobic experience of sheltering in the Tube during air raids. Just as Singapore's MRT uses EZ Link and Hong Kong's MTR employs Octopus card, London Underground uses the contactless card known as Oyster card. More information about the service of the rail system could be found from their official website. 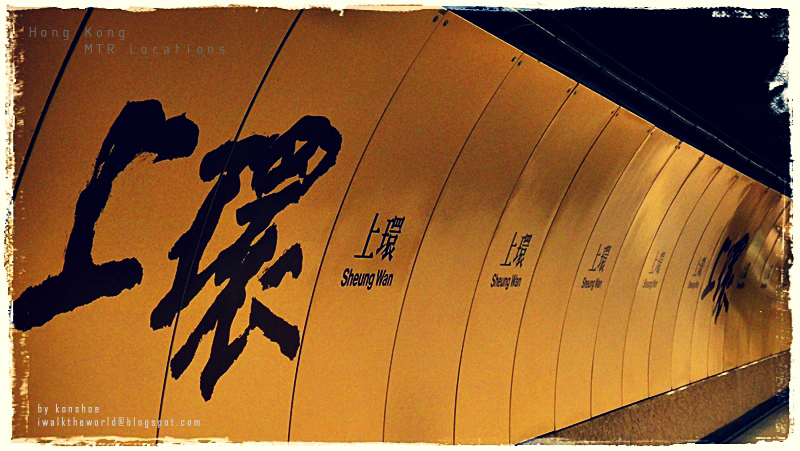 A view back at a past article of Hong Kong's MTR stations (Knowing Hong Kong through MTR Stations).